Lemon balm is an underrated natural remedy that offers various health benefits. Learn more about this common herb and what are the best lemon balm supplements you can take. Lemon balm is rather a low profile but effective remedy for stress that has been used since the ancient civilization of Greeks. Known in the scientific community as melissa officinalis, it is part of the mint family and grows in warm climates. Can Lemon Balm Reduce Stress? Stress may seem prevalent in today’s modern life. But the fact is, stress has always been part of human lives for as long as we could remember. The same goes for one of the most effective natural remedies that have been used by ancient civilizations. If you’ve been suffering from stress for a while, you’ll know how agitated your mind is during some of the worst periods. The natural content of the lemon balm offers relief to your anxious mind by mildly sedating it. The leaves contain terpenes, an organic compound in certain plants that are linked to the reduction in anxiety. Another study involves the patients of San Martino University Hospital, Genoa, Italy involved the prescription of Cyracos®, containing extracts of lemon balm leaves. The results indicate a significant reduction in stress, insomnia, and anxiety over 15 days. Besides alleviating stress, there are other reasons to incorporate lemon balm supplements into your diet. Here are how it can benefit your health. Reduces Stress – Recent studies have also proved the effectiveness of lemon balm in relieving stress and confirmed the wisdom of traditional herbalists. A clinical study that involves 21 participants positively showed that lemon balm prescription leads to an increased in the positive mood and improved cognitive performance. Help with sleep disorders – The same calming effect for stress is also helpful when you’re struggling with insomnia. Treat cold sores – Cold sores are painful blisters that have nothing to do with your cold but caused by the same virus associated with herpes. Applying lemon balm topically helped provide reliefs to cold sores. Relieve Indigestions– Indigestions can be pretty uncomfortable. A study has pointed to the positive effect of lemon balm extract for indigestions. Reduce Menstrual Cramps– A study that involves high school students also positively linked lemon balm to a reduction in the intensity of menstrual cramps and other pre-menstrual symptoms. If you’re making lemon balm tea from its leaves, use 1-2 grams of leaves and steep them in boiling water. For topical use, use lemon balm cream that contains 1% of the plant extract. 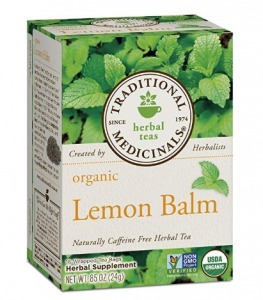 Lemon balm is generally safe to apply and take orally. In the very rare case of side effects, individuals may experience abdominal pain, nausea, vomiting, wheezing, and dizziness. Skin irritations may occur if you’re sensitive to lemon balm cream. If you’re planning to introduce lemon balm to your child, make sure that the dosage is reduced accordingly. There are adverse side effects of lemon balm for children if taken in the suggested dosage. Pregnant and lactating women are advised to refrain from taking lemon balm supplements, as there is a lack of research that suggests safety in doing so. As a health supplement, lemon balm does indeed provide a wide range of benefits. But that doesn’t mean all lemon balm products in the market suits your requirement. 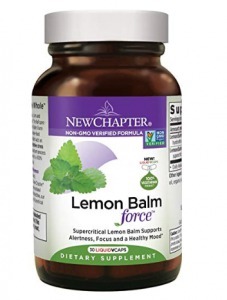 Here are some factors to consider when purchasing lemon balm supplements. Dosage – To benefits from the therapeutic properties of the lemon balm, you’ll need to take supplements with at least 300 mg of the extract. Form – Some individuals are perfectly fine with lemon balm capsules, while others prefer tincture or making a tea out of it. Organic – You’ll want to ensure that the lemon balm plant is sustainably harvested and is 100% organic. Manufacturer – A reputable manufacturer that has accumulated favorable feedback naturally create trust in the lemon balm products. Lemon balm products such as tea, extracts and other forms of supplements are usually available in pharmaceutical or herbal stores. 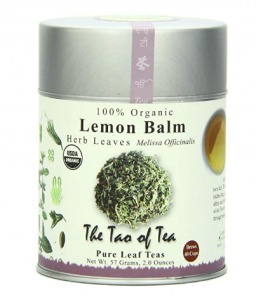 Alternatively, you can turn to online stores as many of the best lemon balm brands support online purchases. 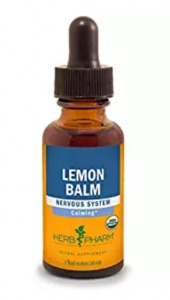 If you prefer the convenience of browsing all the best lemon balm products on a single website, I’ll suggest Amazon, as they offer competitive prices and reviews to compared upon. Besides that, they have very flexible return options in case you’re not happy with the purchase. Judging by the range of lemon balm supplements available and the suppliers offering them, it could take much of your precious time to find the right product, even on Amazon. 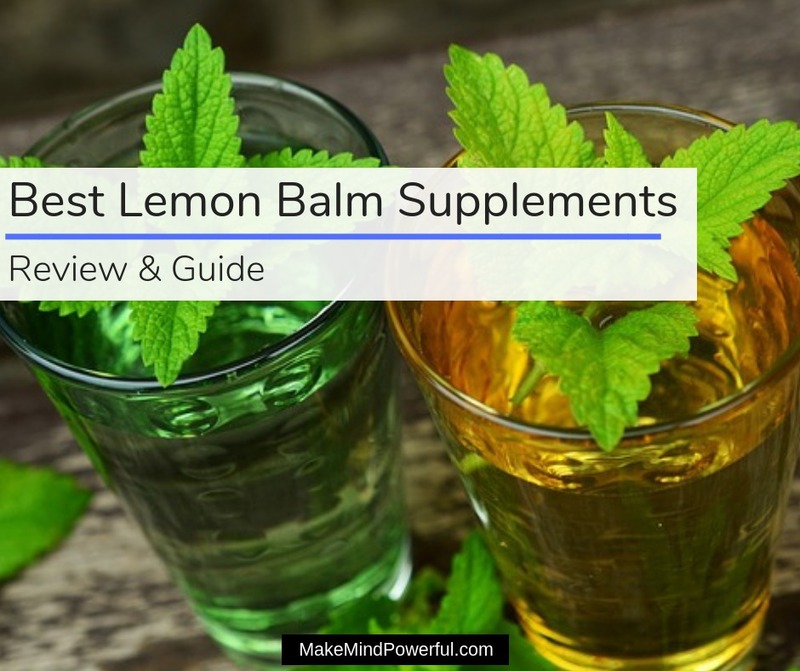 To shorten your purchasing process, I’ve studied and made a list of the best lemon balm supplements that buyers loved. Nature’s Way was founded in 1968, as a result of its founder’s quest for natural remedies to improve his wife’s health. Since then, the humble herbal business has grown to be one of the leading suppliers in the nutritional supplement industry. If stress has been building up and affecting your health, taking the Melissa lemon balm capsules can offer you some relief. 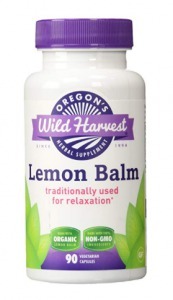 The sedative quality of the lemon balm will calm your mind as you take 3 capsules on a daily basis. If you’re struggling with insomnia, taking lemon balm capsules can also be helpful. The capsules give you a lemon-like flavor and are manufactured in US certified organic processor facility. There are no traces of gluten, artificial flavoring, preservatives or another undesired element in the capsules. 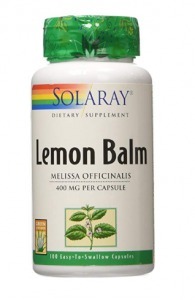 It is arguably one of the highly favored lemon balm supplements around. Helps in calming an anxious mind. Oregon’s Wild Harvest was founded by Randy, a surgical nurse who believes that the answer to stress lies in herbal plants that are part of our ecosystem. Still a family-owned business today, it prioritizes a high-quality nutritional supplement and maintaining a healthy environment. If you’re seeking to relax both your mind and body after a hectic schedule, you should allow yourself a short vacation, or take these lemon balm capsules. A serving of 1,125 mg a day, on a total of 3 capsules will help to ease your mind from daily stress. These capsules are made from the freshest organic lemon balm plants and manufactured in small batches to ensure the potency is not compromised. It is gluten-free and contains no allergen that may trigger severe reactions. Besides relieving stress, taking these capsules also help in improving your digestion. Made from the organic lemon balm plants. Being a leading nutritional supplement supplier New Chapter ensures that every single product are made of premium ingredients and no fillers are added to the process. It is a huge supporter of non-GMO initiatives and all products adhere to its ten formulation principles. Unlike typical lemon balm capsules, each of the capsules contains 200 mg of hydroethanolic and 100 mg supercritical extract. This means that a single capsule will give you an equivalent of 1465 mg of lemon balm extract, an amount that typically requires 3 regular capsules. Taking a single capsule of New Chapter lemon balm helps you to maintain a calm mind amidst stressful scenarios. The capsules are formulated to ensure fast absorption so that you could be relaxed within a short period after consuming. Not the cheapest product around. Solaray is a brand that is owned by Nutraceutical, an experienced leader who has taken the initiatives to unite a rather fragmented industry during the 90s. It now owns more than 65 brands and boasts over 7,000 products manufactured with strict quality control. 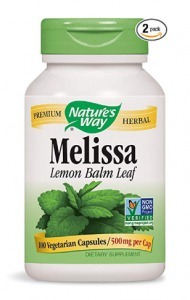 This lemon balm capsules measures to 400 mg per serving. 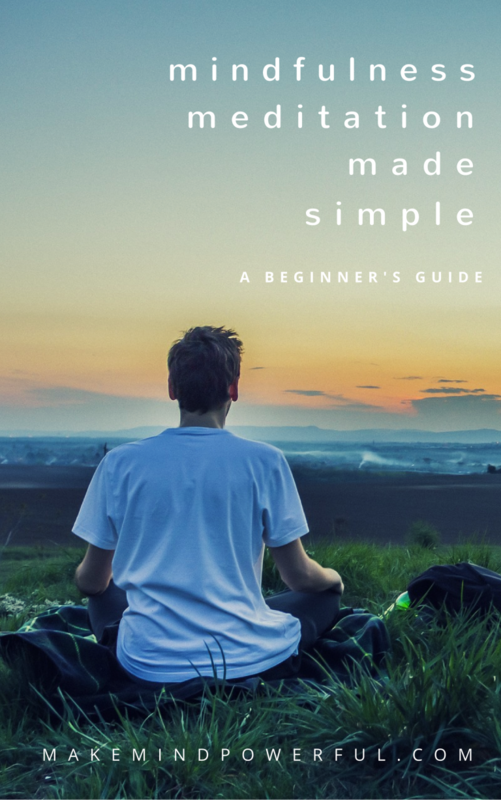 It is an introductory dosage that you can take if you’re starting to feel that stress has disrupted your daily lifestyle. The natural sedative of the lemon balm compound will provide the calmness you much desired. The therapeutic properties of lemon balm also help to regulate your sleep cycle, making this supplement a must-have if you’re struggling with insomnia. The capsules are made with vegetarian-friendly ingredients and contain no harmful fillers. Herb Pharm gets personal when it comes to producing nutritional supplements. It’s more than purely delivering wellness products to customers. Rather, the company places importance on its employees, community and the environment as a whole. 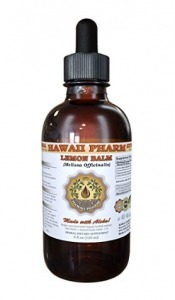 Every single drop of the lemon balm extract is derived from Herb Pharm’s own organic farm. The extract is easily absorbed into your bloodstream to help you enjoy the therapeutic properties of lemon balm quickly. It’s a good alternative if you’re not a fan of swallowing capsules. The lemon balm liquid extract is gentle on the stomach and suitable for children as well. It carries the familiar lemon flavor with hints of sour and bitter. It is extracted using organic cane alcohol and you’ll be getting 675mg of lemon balm with 0.7 ml of the liquid form. 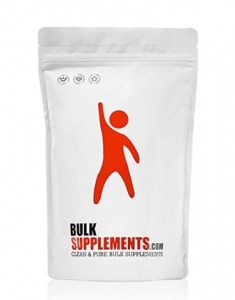 Bulk Supplements is one of the major nutritional product suppliers that distribute their herbs to both consumers and manufacturer. It emphasizes producing high-quality products that comply with regulations. Safety is ensured by both internal and external testing by independent labs. One of the best ways to take herbal supplements is in its purest form. This pack of powder extract brings you to the closest form of lemon balm at nature’s best. By taking half a teaspoon of the lemon balm powder, you’ll receive 1380 mg of the herbal extract. It’s an amount sufficient to induce relaxation from stress. The potency of the lemon balm powder is guaranteed by the test that it’s subjected to. You’ll also be able to store the powder easily with the zippable foil. Besides mood-boosting, you’ll also find relief for any indigestion thanks to the anti-inflammatory property of the lemon balm. Pure lemon balm extract powder. Barely noticeable effects for some. Hawaii Pharm was established in 2008 as a nutritional product supplier hoping to improve the wellness of the modern community. It does so by understanding the characteristics of each herb and employ processes that are unique to preserve the potency of the herbs. This bottle of lemon balm liquid is made of organically sourced ingredients, mixed with organic alcohol, vegetable glycerin, and pure water. Through its unique extraction process, the liquid is a super concentrated form of lemon balm extract. As proven by studies, the lemon balm extract offers you a natural remedy to combat stress. You’ll enjoy the therapeutic benefits by taking 30 drops of the lemon balm extract on a daily basis. Taken consistently, it’ll also help boost your cognitive function and memory. Founded in 1974, Traditional Medicinals have grown from a small business to a leading wellness tea supplier in both the United States and Canada. It takes pride in preserving the environment by practicing sustainable practice as the highest quality of wellness tea are produced. The act of brewing a cup of tea can be a relaxing act itself. Coupled with the potent lemon balm herbs in the tea bag, it serves as a great way to end a stressful day. You’ll feel soothed by the gentle, aromatic herbal taste of the lemon balm tea. Every single tea bags contain natural ingredients that are non-GMO and organic certified. The manufacturing process ensures that the herbs are pure from fillers. To enjoy your cup of lemon balm tea, pour 8 oz. of boiled water over a single tea bag and let it steep for 10 minutes. Organic and non-GMO certified ingredients. Celebration Herbals is an organic product manufacturer that has been around since 1997. It was part of a larger family owned business that is driven to provide the best organic great tasting teas to a health-conscious public. Today, it serves health food stores, herbal practitioners, and naturopaths in a few countries. A single box of the lemon balm tea by Celebration Herbals contains 24 individual tea bags. 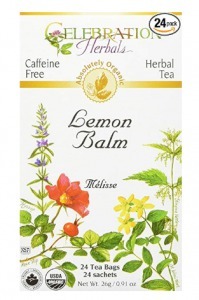 They are made of 100% pure Melissa officinalis, the scientific name of lemon balm grown and harvested organically. While there are no indications on the active content of lemon balm, many individuals have delivered glowing feedbacks on the potency of the tea and its effectiveness in reducing stress-related issues. Not only it is potent, the tea also leaves a pleasant taste on your taste buds. Highly effective for stress-related symptoms. Defective tea bags in some cases. The Tao Of Tea was established in 1997 and has been delighting tea lovers with its collection of herbs and blends. It has great respect for nature and ensures that the tea leaves are grown with sustainable agriculture practice. It held on to traditional methods when it comes to making the best blends that reflect the age-old tea culture. A single tin of lemon balm loose tea leaves ensures that you have the purest ingredients to brew a cup of relaxing herbal tea. All it takes is a single teaspoon of the finest tea leaves and steeping them in boiled water for 4 minutes for the aromatic citrus scent to spread. It wouldn’t be surprising if you actually doze off after finishing a cup of lemon balm tea. This is how potent the tea leaves are. Besides, promoting a restful sleep for yourself, the tin is also craftily designed and fits as a gift for your loved ones who are constantly struggling with stress. Some individuals do not enjoy the flavor. Regardless of your choice of capsules or tea bags, I hope you’ve found this list of lemon balm remedies helpful in relaxing your mind and body after a hectic day. Feel free to share your experience with lemon balm supplements in the comment below.